Boat Finance offers 2 types of loans for personal use; Secured boat loans and Unsecured boat loans. No matter what type of personal loan you are after, we will arrange the amount you need for your boat, to be repaid over a period of up to 5 years. We can also help you with boat insurance, warranty and loan protection. Your boat loan will have a fixed interest rate, with interest calculated on the unpaid balance daily. You can make extra or additional payments to reduce the outstanding balance, thus reducing the interest charges. This can shorten the term of the loan and reduce the overall cost. Even though this is a personal boat loan, you could make a tax claim on depreciation and interest charges if the boat is used for business or work-related purposes. You should check with your accountant whether this would apply to you. We also offer a variation known as a balloon payment or residual option which is growing in popularity. By setting a large balloon payment for the end of the term – varied based on your circumstances – you can reduce your monthly repayments to better suit your budget. At the end of the term, you have the option to either pay out what is left in one hit or re-finance the remaining balloon amount to continue paying off the boat over a new loan period. Payments can be made either by direct debit, cheque, BPAY, internet banking, direct payroll, or cash where necessary, with repayments scheduled fortnightly or monthly. Most personal loans in Australian are secured loans. This means, individual borrowing money to buy a specific item – such as a boat – that item is the security for the loan. If you trade-in or sell your boat prior to the end of the loan term, you must then payout the loan and get a new loan if you require the money to buy something else. These loans generally have a lower interest rate than unsecured loans. Unsecured loans are very versatile in that they can be used for nearly any purpose including debt consolidation, holidays, weddings, or even boats and cars that do not qualify for secured loans for whatever reason. ***Note: This product is not available in some areas. 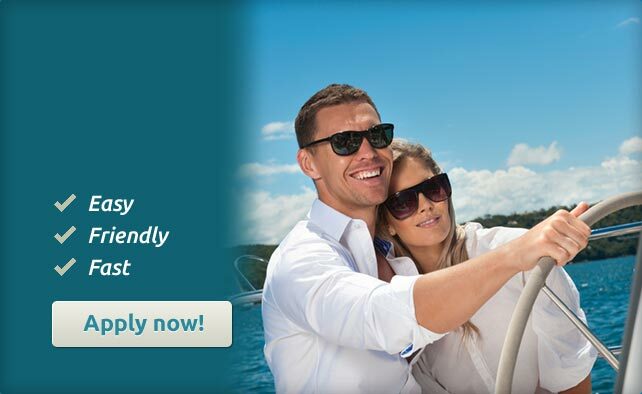 Get your dream boat finance at Boat Finance by calling 1300 880 883 or apply online and one of our loan experts will assist you.